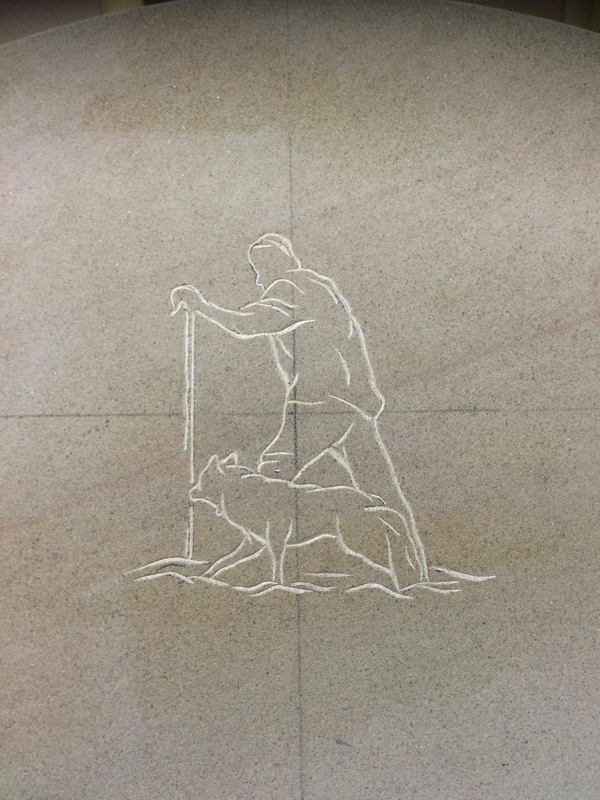 Here are a few examples of animal images, hand-drawn and hand-carved onto memorials and plaques. 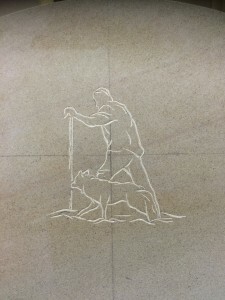 Elliott was recently commissioned to hand-carve the image of a farmer and his dog onto a headstone. He was also commissioned to include the hand-drawn picture of a beloved Siamese cat onto a headstone. 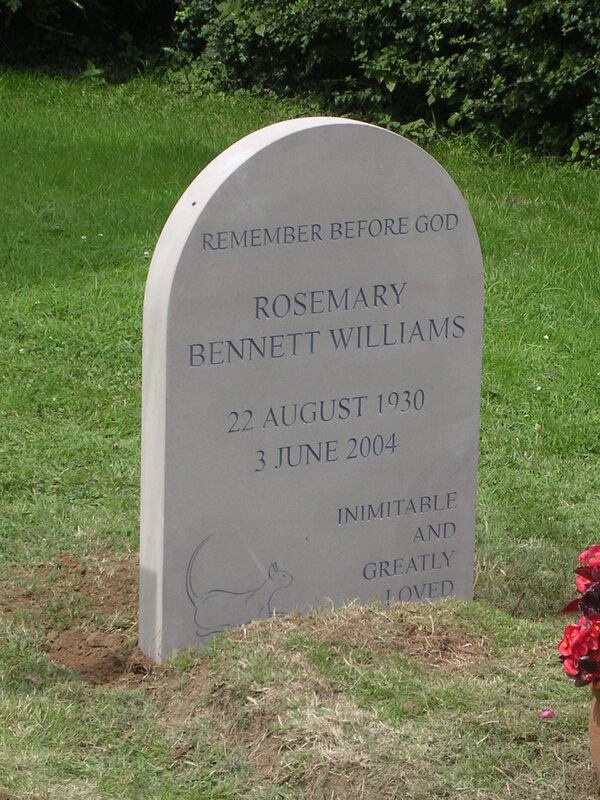 Animal lovers can request hand-carved, or machine-cut, motifs on their headstones or house name plaques.